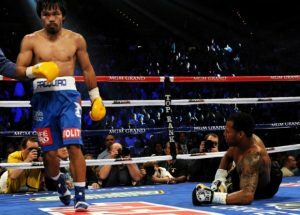 Ring News 24Boxing NewsFight Preview: Lucas Matthysse v Manny Pacquiao – Can the ‘Pac-Man’ Win Another World Title? Fight Preview: Lucas Matthysse v Manny Pacquiao – Can the ‘Pac-Man’ Win Another World Title? 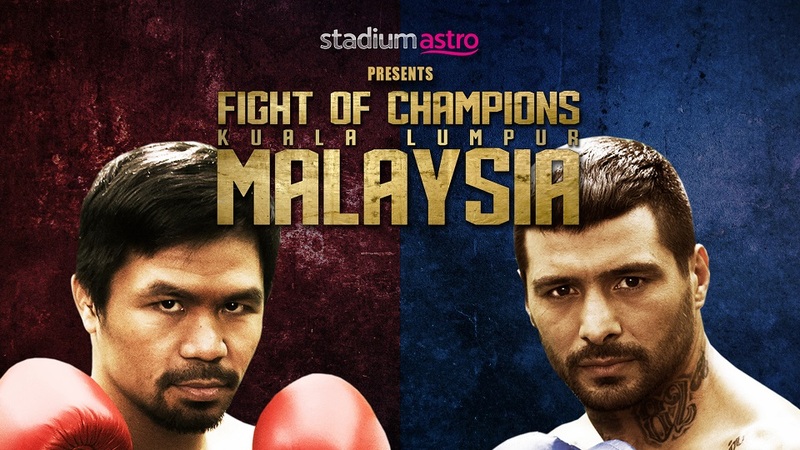 This Saturday night in Kuala Lumpur, Manny Pacquiao will return to the ring to contend with the hard punching Lucas Matthysse in a 12 round championship fight for the WBA crown. The Axiata Arena will host. The title is currently held by Matthysse, who captured it after beating Tewa Kiram in January. Pacquiao, a boxer who has held titles in eight weight divisions, has not fought since July last year after he was controversially beaten in Australia by Jeff Horn. Horn has since gone on to lose to rising welterweight star Terence Crawford. Matthysse has a record of 39-4-0 with 36 KO’s, while Pacquiao has currently amassed a 59-7-2 account with 38 KO’s. With the Argentinian being an orthodox fighter and the famous Filipino a southpaw, this is a classic case of a southpaw vs an orthodox contest. And unfortunately for Matthysse he hasn’t had a good run against southpaws! He was beaten by the likes of a faded DeMarcus Corley and Zab Judah, but his tenacity and power are always something to fear. He cuts the ring off competently and has underrated hand speed. His opponents always have to be wary of being caught even with a glancing blow because he has late knockout power, too. And with a current run of only losing once in his last six fights it appears that he still has a little left to give, though Matthysse is 35 years old now. Manny Pacquiao has lost two of his last four fights, although, in fairness one of those defeats was to the supreme Floyd Mayweather in 2015 whom nobody has managed to overcome in 50 bouts. Still, it is clear that Manny has lost his edge! He no longer possesses the type of physical effectiveness that overwhelmed the likes of Miguel Cotto, Marco Antonio Barrera and Erik Morales in the past. He has not managed to stop an opponent since 2009, Cotto being his last victim. He has had to learn to be patient throughout the last several years and rely on his experience and ring craft. But the magic is evidently long gone. Pacquiao may still has what it takes to floor his foes. But the physical capability to finish them is evidently gone. Pacquiao arguably beat Jeff Horn last time out, although a case could be made for him losing too! 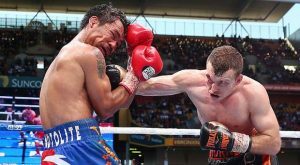 The Aussie’s size and rough-house tactics bothered him to the point where Pacquiao was forced to play along and hope for the best. At 39 years of age, the ‘Pac-Man’ probably has not got long left in the sport. 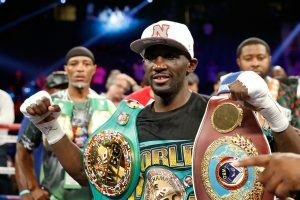 He has reportedly turned down a fight with Terence Crawford, admitting that he is at a point now where he does not have the tools to compete with somebody of his calibre. So, it is highly likely that it is all about making as much money as he can during the last quarter of his career. Since both Matthysse and Pacquiao are come forward combatants, their styles have the potential to make for a surprisingly entertaining battle. The risk for Pacquiao is that he could get clipped by a surprising strike that he does not see coming. And that is something you don’t want to happen when you get in the ring with Matthysse! On the other hand the champion doesn’t have anything special in terms of skill and he could have trouble being caught as he comes in, as Danny Garcia once showed. It is unlikely at this point that we will ever see Terence Crawford fight Manny Pacquiao. If a knockout is to happen in this fight then it is more likely to be caused by Matthysse, although anything is possible in a toe to toe slugfest, which I think this will turn out to be. I would expect a knockdown or two at the very least. Given his experience I expect Pacquiao to come through by another points decision in a fun affair. But where he goes after this will be unclear.